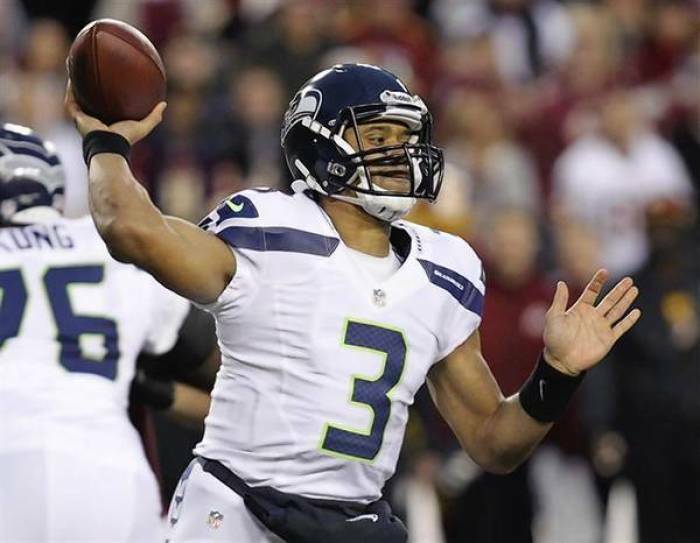 The Seattle Seahawks will play the St Louis Rams on the final day of the 2013 NFL regular season with work still to do. Although the Seahawks have already clinched their playoff berth they will want to win today to guarantee themselves a first round bye in the postseason. The game will start at 4.25 p.m. ET and can be watched online through free live stream (details below). A first round bye in the playoffs could ultimately spell the difference between a Conference and Super Bowl title and an also-ran. The Seahawks will desperately want to win today and will not be underestimating the advantage of being able to rest their top players for an extra week before starting their postseason schedule. The Seahawks will be disappointed not to have already sealed up a first round bye, and they have hit a small slump in form at the wrong time of the season, which is a big concern for them. Seattle have lost two of their last three games; a 17-19 loss to the San Francisco 49ers, and a 10-17 loss to the Arizona Cardinals last week. That scattered form does not bode well for them as they prepare for knock out football, and they will want to get back to their earlier season form where they looked phenomenal at times. Team news ahead of the game; it looks like Percy Harvin's season goes from bad to worse, as he will likely miss today's game. It is looking increasingly likely that he will end his season on the injured reserve as his hip has still not improved significantly and he remains sore, according to reports. Coach Pete Carroll faces the decision soon to name his roster, and it is looking like Harvin will be moved to the IR and his season with the Seahawks may never get off the ground. Today's big game between the Seahawks and the Rams will start at 4.25 p.m. ET and can be watched on TV on the Fox network or online through free live stream by clicking here.